If you or your loved ones have suffered personal injuries as crime victims in Wilton Manors, call 305-285-1115 to speak with our Wilton Manors crime victim compensation attorneys at the Wolfson Law Firm. You, as a crime victim, may have the right to claim damages recovery from responsible persons and commercial establishments. We have helped injury victims since 1963 and we are standing by to help you and your loved ones as well. Call us now for your free consultation. Wilton Manors is a small city in Broward County with more than 12,000 residents, known for its sizeable LGBT population. Only one US city has more LGBT couples relative to its size. The local government prides itself on the LGBT-friendly environment. 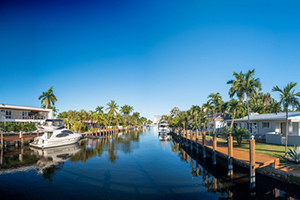 Wilton Manors is surrounded by water, earning the nickname Island City. On the northern side, it borders with the North Fork of the Middle River and Oakland Park, on the south with the South Fork of the Middle River and Fort Lauderdale. The total area of the city is less than 2 square miles. We help those injured in other types of crimes as well. No matter what – never be a silent victim. If you were injured by a criminal in Wilton Manors, then you should seek the advice of the best Wilton Manors personal injury lawyer you can find. You deserve answers and you should pursue the compensation and justice you deserve. Getting injured as a crime victim in Wilton Manors means that you have three financial recovery options. Claiming damages against the criminal offender seems like the most obvious one, but that shouldn’t be the case. Criminals rarely have the money to pay for the injuries, and sometimes they aren’t apprehended by the police. Fortunately, you have other two options to rely on. When injuries are sustained during criminal attacks at commercial objects such as motels, hotels, nightclubs, apartment buildings, nightclubs, bars, restaurants or shopping centers where companies or third persons controlling their premises could be held liable if the crime has occurred due to negligence. Commercial businesses owe visitors a duty of care, which mean they should take all the reasonable measures to prevent crime at their premises. Should they breach this duty due to negligence, they may be responsible for the injuries sustained consequently. The Florida Bureau of Victim Compensation provides the last option for compensation. They compensate crime victims who have sustained personal injuries due to crime incidents occurring in Florida. If your case meets the requirements set by the law, the chances are that your application will be successful and may be able to collect for some portion of your economic losses. If you or your loved ones have been injured in a criminal action in Wilton Manors, call our Wilton Manors crime victim lawyers at the Wolfson Law Firm for help. You can reach us at 305-285-1115 for free consultations. You won’t pay for fees unless we recover for you.